The Radiation Safety Office now includes oversight of non-ionizing radiation sources. For more information, please visit the Laser Safety webpage. 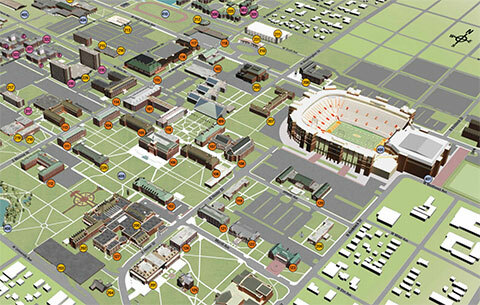 Oklahoma State University’s Radiation Safety Office operates within the office of University Research Compliance. The Radiation Safety Office holds the government issued licenses and permits which allow the University to procure, use, store, transfer, and dispose of various radioactive materials as well as machines which produce ionizing radiation. These licenses are issued by the Oklahoma Department of Environmental Quality (ODEQ) acting on behalf of the U.S. Nuclear Regulatory Commission (NRC). As a licensee of ODEQ, the Radiation Safety Office is charged with the responsibility to ensure that all radioactive materials and machines capable of producing ionizing radiation are used in accordance with all applicable state and federal regulations, namely Oklahoma Administrative Code (OAC) 252:410 and Code of Federal Regulations 10 CFR Parts 19, 20, and 30-33 among others. While compliance is a necessary part of our job, it is also an overt goal of our office to be a source of help in navigating the sometimes seemingly confusing path for use of radioactive materials and machines capable of producing ionizing radiation. In this regard, individual clients are encouraged to use the links to the left for forms, instructions, guidance, or answers to your questions. Please contact us if you have questions.